Tony Hoagland’s new collection from Bloodaxe introduces me to a poet I want to read more of (having missed him so far). Laugh-out-loud funny in the same breath as touching while being satirical and vividly descriptive of urban USA. Like Billy Collins, you relish the poem – then wonder how he managed to achieve it so apparently effortlessly. I read with Tracey Herd recently at the StAnza Festival (see this post) and was impressed with the emotional honesty of her writing. This is her first book in almost 15 years and was short-listed for the Forward as well as being a PBS Choice. In reviewing Choman Hardi’s recent Considering the Women for Poetry London, I also went back to re-read her first book, Life for Us (both published by Bloodaxe). Her unsparing exploration of the plight and flight of the Iraqi-Kurdish people in the 1980s is poetry of witness of a high order. This is a body of work which is unique and deserves as much notice as we can give it. 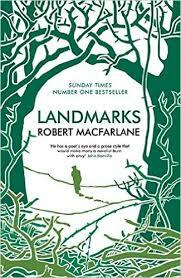 Macfarlane’s take on the significance of the loss of rural vocabulary and the danger that we will narrow our human experience as a result makes for powerful reading. Actually I found the word lists a bit dull (which I’m sure I shouldn’t as a poet) but perhaps most important of all he directs readers to previously little known writers about landscape like Nan Shepherd, J A Baker and Peter Davidson. 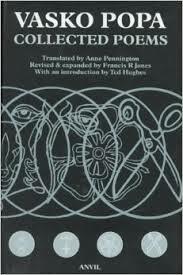 Popa’s unpunctuated, economical, elusive poems, many of them drawing on Serbo-Croat myth and legends, can be hard going. There is little sentiment or surface detail to hold on to. But reading them you hear where Ted Hughes found the idioms of Crow. Poems like little hard pebbles giving lessons to the more windy and verbose among us (I include myself of course). 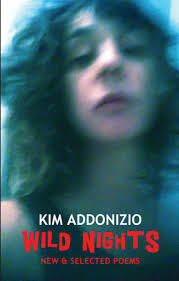 Addonizio can be verbose but what she evokes is a speaking voice, a chatting voice, driven on to revelation after revelation as if across a bar table littered with empties. She is a voice in your ear with all that implies about thrilling intimacy though on occasions I felt ‘give me a break’. 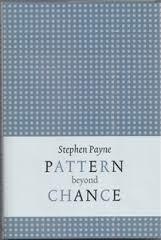 Stephen Payne’s poems emerge partly from his job as a Professor of Human-Centric Systems. He observes what people do and he wants to discuss it. He’s looking for the patterns which present themselves ‘beyond chance’. If that sounds a bit cool there is something of that here but the book overall is delicate, always thoughtful and often very moving.